In a 2012 email chain published online by the organization Wikileaks, senior members of the Clinton Foundation rejected the idea of allowing Bill Clinton to become a member of group promoting agricultural development in Nigeria, with one director arguing that any aid to Nigeria would detract from fundraising for Haiti. The Clinton Foundation used the 2010 earthquake in Haiti to fundraise extensively, generating millions of dollars that Haitian officials say never reached those affected. 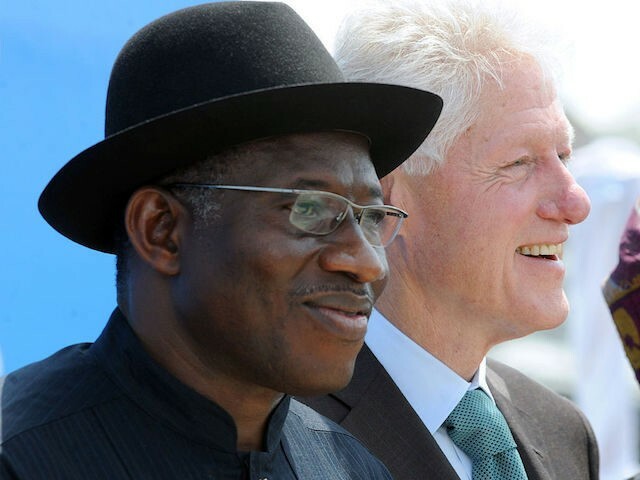 The discussion over Bill Clinton’s participation in an “Eminent Persons’ Group” organized by then-Nigerian President Goodluck Jonathan weighs the potential benefits of such participation to Nigeria with the possibility that Bill Clinton may be overloaded with Clinton Foundation responsibilities. “This [Eminent Persons’ Group] is expected to advocate and assist in mobilizing resources to facilitate the transformation of the Agriculture sector in Nigeria,” the email from Jonathan’s representative reads. Bill Clinton traveled to Nigeria twice to deliver speeches during Hillary Clinton’s tenure as Secretary of State, for which he was paid $700,000 each. Desai replies noting that he has explained the situation to the relevant party, adding his concern that those who give Clinton money for Haiti may be tempted to divert their funds to Nigeria, which would be detrimental to the Haiti initiative. “WJC spends a great deal of time advocating for Haiti funding and it therefore may not be a great fit at this time for them to ask WJC to simultaneously advocate for Nigeria funding since it’s a largely overlapping set of donors for both Haiti and Nigeria,” he argues. To the extent that Clinton Foundation recovery initiative did work on the ground, there is evidence strongly suggesting that it contributed to an outbreak of cholera that has so far affected nearly one million Haitians. The first case of cholera documented in Haiti occurred in October 2010. In Nigeria, the Clintons have an equally negative record, though not through the Foundation. Secretary of State Hillary Clinton, who served concurrently with Goodluck Jonathan, refused to designate Boko Haram a terrorist group, which would have put greater law enforcement and military scrutiny on the group. Boko Haram is now not only an official wing of the Islamic State but, independent of the greater group, the deadliest terrorist organization in the world. Clinton’s successor, John Kerry, eventually designated Boko Haram a terrorist group. Reports subsequently revealed that a terrorist designation for a Nigerian group would have had significant economic consequences for a major Clinton Foundation donor, Gilbert Chagoury, who has given up to $5 million to the Foundation.